Are you game? Can you beat Elon Musk? Can you understand his moves? • What will Tesla’s financials look like in coming months and quarters? • How much production does Tesla need to get out of the woods? • What is the influence of gross margin on profitability? Questions like these are the topic of many articles on CleanTechnica, our colleague EV websites, investomania sites like SeekingAlpha, ZeroHedge, BusinessOutsider, and the financial and regular press. The amazing thing is the wide variety of opinions and prognoses that are published. And then I didn’t even mention what is written in the comments by fanboys and distractors. Now, predictions are difficult, especially about the future (Niels Bohr), but some predictions are more plausible than others. A few weeks ago a commenter on CleanTechnica mentioned a spreadsheet he had made, and whether we were interested. Zachary and I didn’t know how fast we had to scream: “YES, we are!” It was an awesome spreadsheet and you have seen the first result in the article Vijay Govindan wrote about Tesla profitability. But that was just a microscopic part of the whole spreadsheet. A spreadsheet is not a story you can publish, but you can turn it into a game. And that is what we did. With the right set of parameters, everyone can create his or her own most likely future for Tesla. Click this link to download the spreadsheet and play the game. The spreadsheet is an abstracted model of Tesla described in financial terms. It is NOT a complete description of the company, now or in the future. That is only in Deepak’s drawer and Elon’s head. This model can show a realistic development of Tesla finances and profit based on assumption of productivity. It is based on recent comments made by CEO Elon Musk, CTO JB Straubel, and CFO Deepak Ahuja. There are some important simplifications that make next-quarter predictions less accurate. It views all production in a quarter as sales in that quarter. Over a longer period of time, this does not matter, because the cars will be sold eventually, but it doesn’t allow precise projections for quarterly results since the model disregards vehicles in transit and vehicles leased. For every quarter, the mix of Long Range (LR) vs Standard Range (SR) or Real-Wheel Drive (RWD) vs All-Wheel Drive (AWD) or Performance vs simple Premium Upgrade Package (PUP) can be specified. What do you think Tesla will be offering, and what choices will the customers make. What other options will they choose. We split out Tesla energy storage systems and Tesla solar systems from the Tesla Energy line item because of the completely different forecasts and likely gross margins of these two product groups. The (not so) old adage “a dollar in profit is a dollar not spent on growth” is reflected in a parameter limiting the max profit the management will aim for. When there threatens to be more money, spending on R&D and SG&A increases. The spending on R&D and SGA can also be influenced by setting the minimum you think should be spent on it as percentage of revenue. A lot of bills for future revenue streams are paid through these 2 line items as OPEX costs and not as CAPEX. The bit of the cash-flow statement on CAPEX is expended in a separate tab of the worksheet. You can specify how much and when money is invested in the new projects Tesla is starting in the near future. Depreciation and 80% of profits are allocated to finance these undertakings. This should be enough to see whether Tesla invests within its means. The cash flow of any given quarter is more a statement about Deepak’s financial wizardry than something worth trying to predict. When CAPEX is in balance with depreciation and profits, I am sure Deepak can take care of the rest. 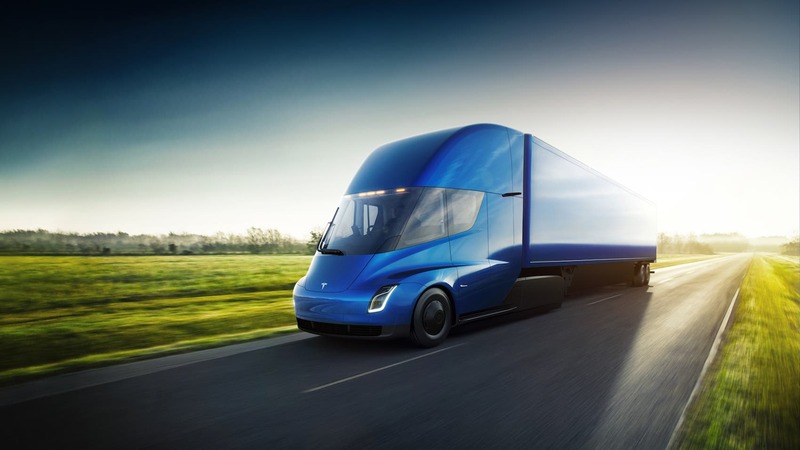 To get a more solid feel for the future, we extended the model to end of 2020, thus including the preparations for the Tesla Semi and the Model Y. These new products are not as heavily parametrized as the Model 3, just enough so you can see what they will do for future results. In short, this model will show you what is in store when the Model 3 matures and fully contributes to Tesla’s bottom line, and what the costs and possible revenues can be for Semi and Model Y.
Judging by the questions some analysts ask during the conference call each quarter, and the many shoddy journalistic products that are published, this model is more robust than what is used by many on Wall Street, Fleet Street, and Rockefeller Plaza. And I don’t even count what was recently written in the NYPost, which seemed to have no basis in facts, but I do think about the misguided Bloomberg reporting that I wrote a piece about some time back. This spreadsheet is perhaps helpful to put misinformed CNBC talking points into perspective. Or for cases like recent ones our editor Zachary felt obliged to clarify, since the facts were so conveniently ignored by the press as they ran with misleading narratives created and pushed by Tesla short sellers or missed the point completely as Tesla renegotiated contracts with suppliers out of a position of strength, something writers and editors at the Wall Street Journal should be able to understand. Misleading narratives are mindlessly copied in numerous papers and newscasts all over the spectrum, which makes it all the more important for people who care about this topic to dig into the numbers themselves and get a grip on the fundamentals. This game is a tool empowering everybody to check how likely or uninformed the stories in the news media are. Having the facts at the tip of your fingers and being able to run predictions on future developments is a great asset in separating the chaff from the wheat, especially when reading the many stories about Tesla. Download your own copy of Vijay’s Production and Profitability Game. Predict Tesla’s future and engage those shorts, skeptics, and journalists that did not do their homework.